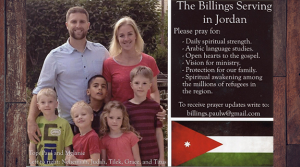 The Billings are serving in Jordan. Please keep this family in prayer as they are serving the Lord. 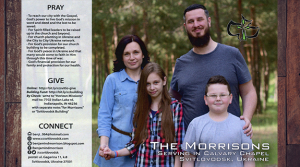 The Morrison’s are serving in the Ukraine. Please keep this family in prayer as they are serving the Lord. 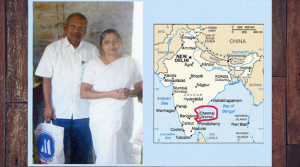 Pastor Paul Daniel is ministering the Gospel of Jesus Christ in Madras India. He is establishing churches and training pastors as well as bringing the Gospel message to people.Please keep Pastor Paul and his family in prayer. Calvary Chapel of Manitowoc is working with Faith Comes By Hearing to distribute Bible Sticks to our soldiers around the world. 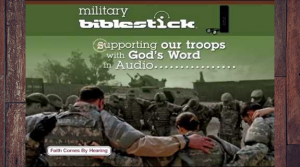 So far Calvary Chapel of Manitowoc has been able purchase 609 Bible Sticks and Faith Comes by Hearing has distributed over one million Bible Sticks to our soldiers! God’s Word is living and powerful and we want to encourage believers to grow in the Lord and to see others come to saving faith by the power of God’s Word opened up by God’s Spirit. We are working with Far Reaching Ministries and Wes Bentley in bringing the Gospel of Jesus Christ to the people of the Sudan. We are supporting the Chaplaincy Program and specifically Chaplain James Omondi Ben. A chaplain is a pastor, whose flockis made up of primarily soldiers, who serve in the military. The men they train have a unique opportunity to bring Jesus Christ into their lives at a critical time when they are very aware of their own mortality, and are much more willing to listen. Please pray for safety and that the Gospel will go forth in power! Huguener Bastia pastors Calvary Chapel in Caneille, a remote city in Eastern Haiti. His vision is to use the Gospel to evangelize and disciple the people in the region, and to facilitate visits by ministry teams who can help the Haitian people to know and understand the love of Jesus Christ. We are also partnering with other Calvary Chapel’s to help provide clean, safe drinking water for the church, school and the people there. The cost of the project is $88,500, but we know where God guides He also provides and we are excited to see what He is going to do. Water Missions International is the organization who will be building a 6,000 gallon water tower as well as a water filtration system. 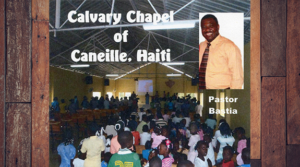 Please keep this ministry and Calvary Chapel of Caneille, Haiti in prayer. 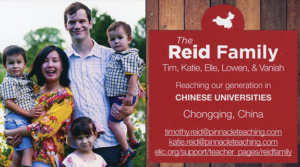 Tim Reid and his family are in China on a two year missions trip. He is working with the English Language Institute for China and is teaching English at one of the universities in China. Through that they are able to minister to the students, invite them to their home and share Christ with them. 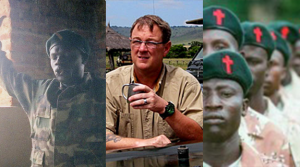 His wife, Katie became a Christian through that organization. Calvary Chapel of Manitowoc’s radio program, The Sustaining Word is broadcast on Calvary Radio Network, 90.3 FM in the Madison area at 6:00 am Monday through Friday. The Truth Heard in Black and White Without Compromise! 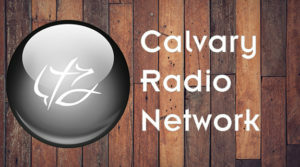 Calvary Chapel of Manitowoc’s radio station – WTSW-LP The Sustaining Word is broadcast throughout the Manitowoc area as well as from our Web Page all over the world. We have teachers that teach verse-by-verse through the Bible that will encourage you and help you to grow in your relationship with Jesus Christ. We also live-stream our teaching studies on Thursday evenings at 7:00 pm and Sunday mornings at 10:00 am.